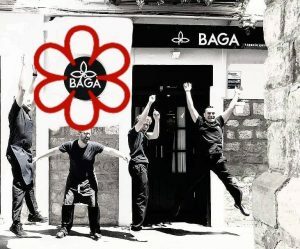 The Bagá Restaurant has just received the first Michelin Star in the province of Jaén, barely a year after this tiny place opened its doors. 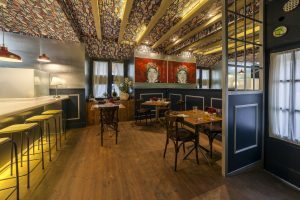 Possibly the smallest and least staffed restaurant in the entire Michelin guide is the "dream come true" of Chef Pedro Sánchez Jaén, who has placed Bagá in "the league of the best restaurants in the world", as evidenced by the fact that , in this short period of time, more than 20 Michelin Stars have passed through his table. Behinf this success it is hidden a huge amount of work, a long stage of training, suffering and headaches ... but also good times, inspiration, love and finally recognition. All this achieved thanks to humility, discipline and respect for teamwork ... Pedro, Mapi, Fran and David work together every day to offer a unique experience to their clients, taking care of all the details so that the experience in Bagá is unforgettable. 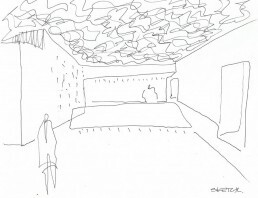 "Emotion, Passion, Effort, Constancy ..." this is how Alfonso Mollinedo, architect-director of ANDA Architecture, describes the values ​​he tried to exalt with the design of this small space, but it is also the values that define his exercise of architecture. The project, in addition to a careful design and a well-studied functionality, integrates pieces of art by Paloma Hernández Cuadrado as an indissoluble part of the architectural proposal. A combination of art and architecture in which ANDA is completely committed. 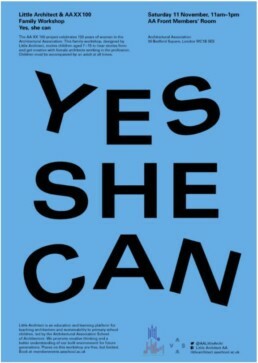 Last Saturday, November the 11th, we celebrated our first YES, SHE CAN! event for families at the AA. We are incredibly grateful to all the families who attended and to our inspiring speakers. They shared their knowledge and gave us a fabulous hint of their interesting work in architecture. Children aged 7 to 16, learnt that being an architect enables you to develop a wide and diverse array of activities. Architecture is a complex and rich discipline and not always the general public has been informed about it ( I would say that we have neglected the communication with society during decades). Architecture is a humanist career that prepares the student not just to design buildings but to aim for changing and improve our cities for the better. 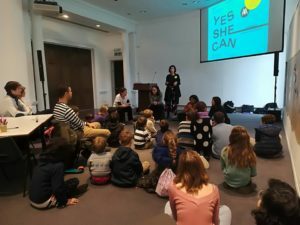 With this new format, children and young people understood that female architects are involved in all sort of processes and they discovered that we are able to develop all kind of interesting professional roles! Hopefully, this is just the first of many Yes, She Can! to happen. 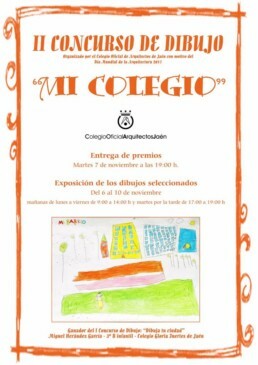 On the occasion of the World Architecture Day, the Official School of Architects of Jaén celebrated the "Take care of your city" drawing contest with several primary schools. The architect Alfonso Mollinedo invited by the school Jesus and Maria promoted creativity and awareness of students through this activity. 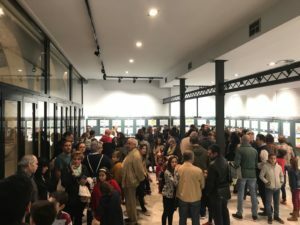 On November 3 an exhibition with the selected works was held. Alfonso acted as a jury.